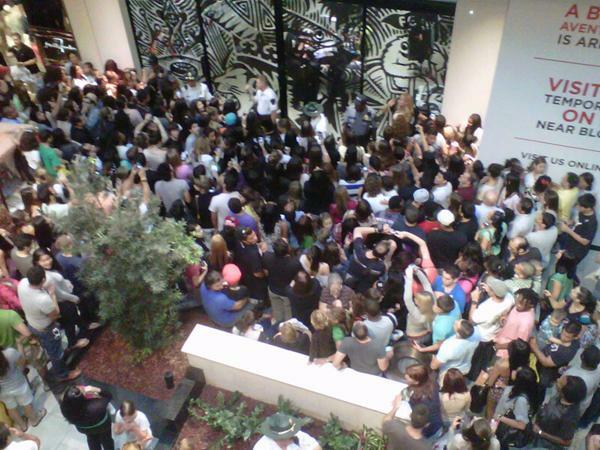 Yesterday I did a little bit of shopping at Aventura Mall, and upon leaving a huge crowd started to form, I asked a woman what was going on and she replied “Justin Bieber is in there shopping.” So like everyone else I waited, to see what was going to happen next. Can you believe he did not even have the temerity to at least come to the window of the store and wave to the fans he “love so much”. I was very dissapointed. He ended up leaving through the back of the store, and that was it. 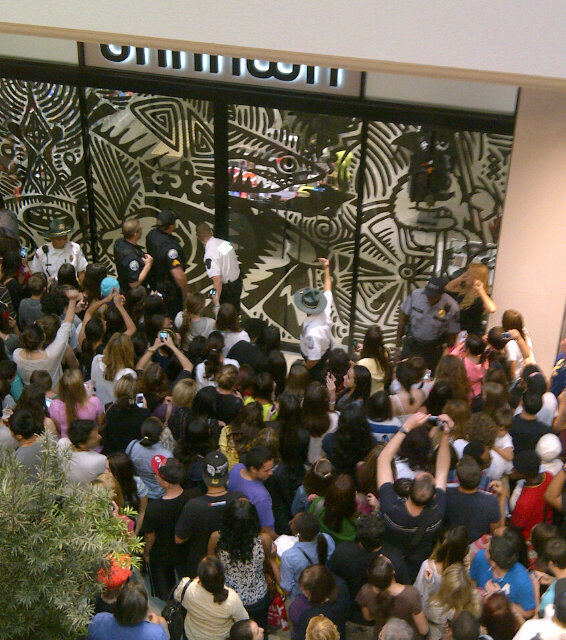 A lot of people was shocked, for someone that claims his fans “are everything to him”, it really did not look like it.